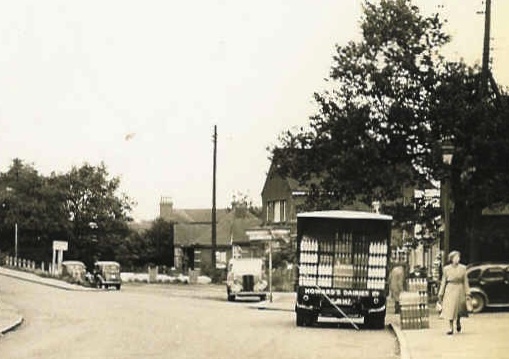 In the early seventies when we first began listing all the shop names along Laindon High Road, from the Fortune of War to the Crown Hotel, we distributed sheets with only the street names and the known landmarks along the way. This led to many ‘Laindoners’ adding their recollections of the shops etc that they remembered. This exercise led to us having a very comprehensive list of most of the shops and business premises along the High Road being indentified, with sometimes 2 or 3 different owners or traders mentioned over the final 40 years of the former High Road’s existence. Incidentally we gathered over 150 different premises on our lists. One particular thing that always puzzled us was when one elderly gentleman, in around 1980, added Laindon Public Baths to our list. He placed it just over the railway station bridge on the left in the parade before Osborne Road and Cottis’s bakery, in the building that we only remembered as the Silver Star Bedding company. This was operated by Mr.Huggett who lived in Edgware Drive (off Markhams Chase). I lived next to the Huggetts and he had been making mattresses in a shed in his garden since moving into his newly built bungalow after the war ended in 1945. When trade picked up he took the premises past the station in which to build up his business. I now return to the baths and Arthur Huggett (son) has now told us that when his dad took the premises over from Miller and Davies clothing and upholstery in 1948 for whom he had worked, they had to remove several baths from the rooms to be able to use it for mattress making. The Huggetts were Salvation Army members and apparently either Mrs.Huggett or a daughter had just gained a Silver Star status in the Salvation Army and he used that as the name of his new venture. Leading on I have now tracked down a lady who actually remembers using the baths. She is Ann Walker now but was born a Garnish and her father lived in a thatched cottage at the end of Church Road near to the Prince of Wales public house in Wash Road. He apparently had attended the school that had been held in St.Nicholas Church that taught about 10 children and he had left that school at 10 years old around 1888. He was Walter Garnish and when his family came along he moved into a bungalow called Lilac in Kenilworth Road on the Waverley Estate. Ann was the last child born and had 1 sister and 2 brothers. She was born in 1928 and attended Donaldson’s school (now Laindon Park) and then the High Road School. 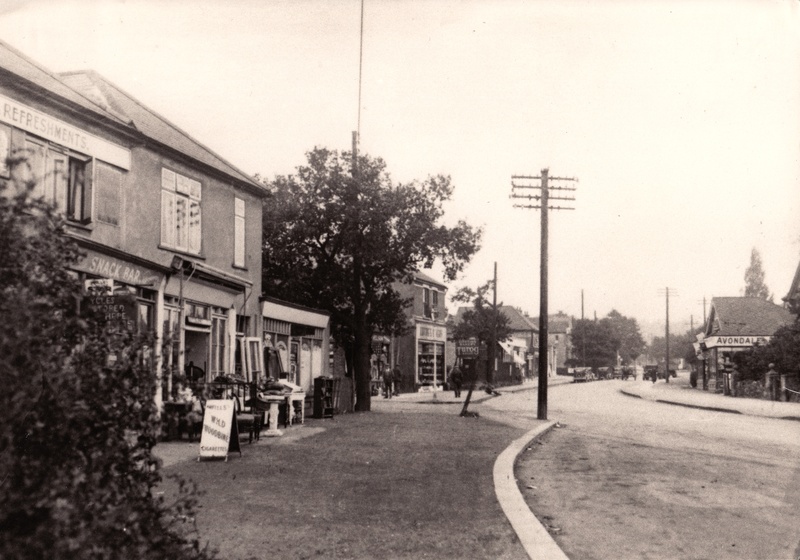 On leaving school at 14 she had a job at the Alma shirt factory near West Horndon and used to travel there on the 2A bus along the Arterial Road leaving her boots daily with a lady who lived just in Church Road by the Arterial Road bus stop. One day Ann overheard someone in the Laindon shops telling her mother about the baths over the station way and disliking a tin bath after 3 older siblings decided to make the trek over to see what was on offer. She recalls it being a bit sparsely lit and remembers the water only being luke warm but it was bliss to be able to bathe in private in clean water and relative comfort. She had to take her own towel and soap by the way but then had to trudge back to Kenilworth Road in the boots again! She made this trip twice a week if she could fit it in. This lady is now the proof we needed to confirm that the Laindon Public Baths did in fact exist although she cannot remember the cost of bathing there or when they ceased to operate. She had begun using them about 1942/3 and as we know the Silver Star Bedding began using the premises around 1948 they were probably only operating for a fairly short period of time. I can confirm the existance of public baths in Laindon. I used them! I think they must have been open for a very short period of time. My younger brother and I were sent there by my mother. It was good to no longer suffer through the Friday night bath in a galvanized tub. My memory is that we walked down Vowler Road from Berry Lane, crossed over the High Road, turned left and the baths were on the right. 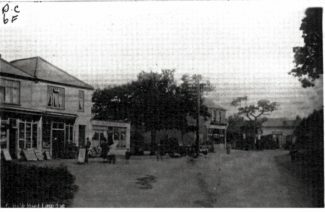 They must have been before Cottis’s because at that time there was nothing between Cottis’s and the station except a couple of houses, one of which had six or eight garages which were rented out. My guess would be that it was somewhere in the 1942-44 time period but memory says they existed only for a very short while. One would have thought that public baths in Laindon would be a booming business! I wonder what happened to the business and why did it fail? Strange.